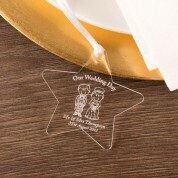 A wedding day star is the perfect keepsake gift for any special couple who got married in Scottish attire. It comes with a loop of ribbon so it is ready to display on a door, wardrobe handle or even on a pin board. 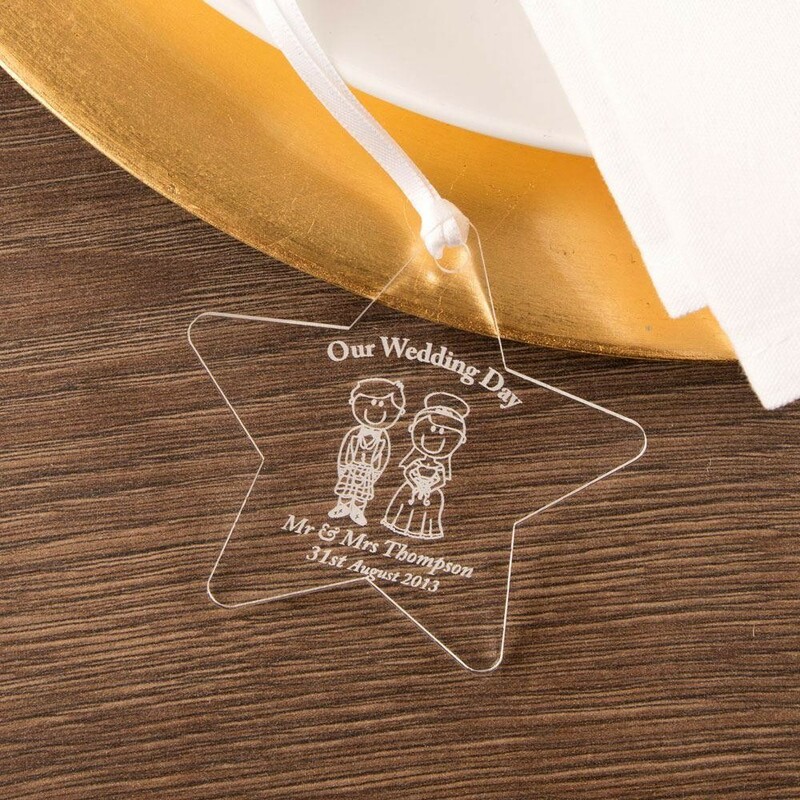 We laser engrave each star in house with the couple's title and surname (or the couple's first names) and date of occasion so it is custom made for them. Each star comes gift ready in a branded gift box so can be stored away when not in use. Dimensions: 7.5cm x 7.5cm x 3mm thick.